Dante P. Stroman, age 33 of Bronx, New York. Police photo. 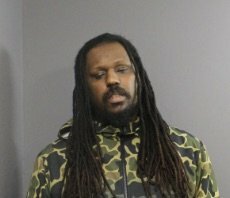 Officers from the Endicott Police Department arrested 33-year-old Dante P. Stroman, a Bronx resident, for attempted burglary in the second degree, a Class D felony, on Feb. 6, 2019. The arrest was the result of an investigation into an incident that occurred on Oct. 11, 2016 at a residence on Monroe Street in the Village of Endicott. During that incident, Stroman attempted to unlawfully enter a residence to commit a crime. Stroman was taken into custody without incident on Adams Avenue in the Village of Endicott. Be the first to comment on "Attempted burglary arrest in Endicott"